The Notebooking Nook has a nice set of notebooking pages to go along with the book Mathematicians are People, Too; Volume 2. These notebooking pages feature famous mathematicians, so they can certainly be used independently of the book. 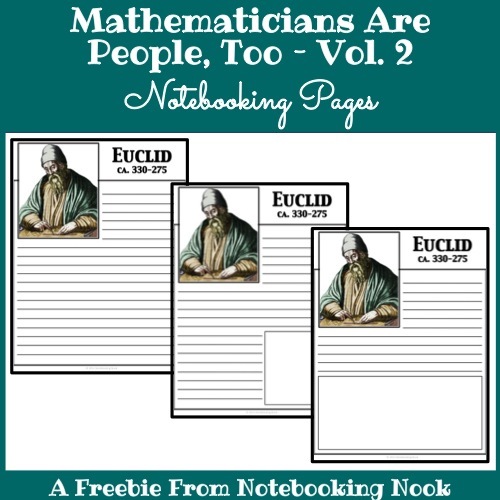 Included are notebooking pages for the following: Euclid, Fibonacci, Benjamin Banneker, and more!